Jim and Kathy Coover’s personal trainers, Jill and Scott Knight share their top 10 favorite foods to substitute in your everyday diet. Get answers to all your questions about the new Isagenix skincare line, Rejuvity. Did you hear the news? Isagenix welcomed a new line of skincare products to the Isa-family at the Celebration event this past weekend in Las Vegas. Rejuvity—an advanced system consisting of seven novel products—contains ingredients that are formulated to synergistically target your skin’s specific needs. 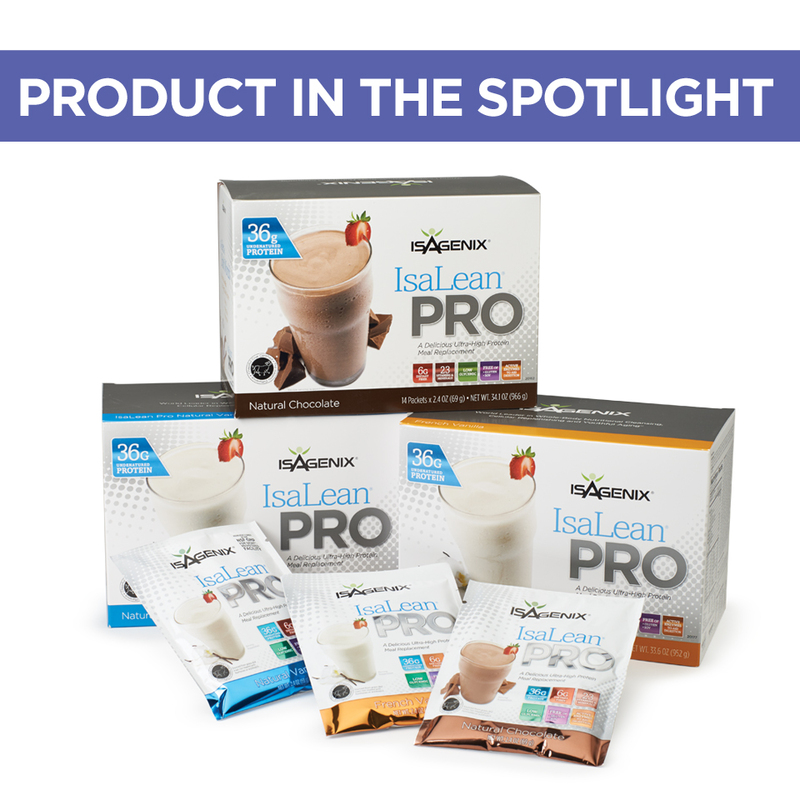 Paired with the Isagenix system, Rejuvity nourishes and protects your skin from the inside out. To read about how to use the products, click here. What’s the difference between Rejuvity and other skincare products currently available? These clinically tested products contain unique complexes—including the Renewal C2C Complex™—that support proper skin cell communication resulting in a noticeable and dramatic difference in as little as four weeks. Can I still use my Ageless Renewal Serum with the Rejuvity products? Ageless Renewal Serum (ARS) should be used as a standalone product with Ageless Essentials Daily Pack. We have not studied the effects of ARS and Rejuvity together, as their respective technologies are not comparable. If you currently use ARS and it works for your routine, don’t worry – we will continue to offer ARS for the foreseeable future. However, we strongly encourage you to try the Rejuvity system; it represents the most advanced technology in skincare. No. The products are cruelty-free. Do the products contain parabens, phthalates, SLS, petro-chemicals, or synthetic dyes and fragrances? The products are completely free of parabens, phthalates, SLS, petro-chemicals, and synthetic dyes and fragrances. Do the products contain oxybenzone, octocrylene, OMC, and PABA? No. The products do not contain oxybenzone, octocrylene, OMC, or PABA. Can I still use the C-Serum with the Rejuvity products? Yes, however, do note that the Essential Youth Serum in the Rejuvity line contains vitamin C and CoQ10. Can I start using the Rejuvity line right away? Yes, you can start using the Rejuvity line right away. However, be aware that it may take some time for your skin become used to the products. Your skin may go through a brief adjustment period. Can I use a handheld cleansing device? You can use a handheld device with the Purifying Cleanser. Due to potential excessive abrasion, we don’t recommend using it with the Bamboo Exfoliating Polish. How often will I need to refill my Rejuvity order? It will vary depending on use; however, the products should last about a month. Can men use the line? Rejuvity is appropriate for both men and women. The line has been designed with natural fragrances that appeal to men and women. How many pumps are considered one application? Depending on the product and the area of the face you are concentrating on, it will range from one to two pumps. Can I apply the Moisturizing Day Cream, Renewing Night Cream, and Essential Youth Serum on my neck and upper chest area? Yes, apply these products on areas that you want to nourish and protect the skin. Did we harm any rainforest in making the bamboo scrub? No rainforest was destroyed in making the product. The bamboo is farm-grown. Can I use the Purifying Cleanser as a make-up remover? Yes, however, extra application may be necessary to remove stubborn make-up. Can I apply make-up right after application of Essential Youth Serum? For best results, wait two to three minutes (or until the serum has been absorbed into the skin) to apply make-up after using the Essential Youth Serum. Do I need to wait any period of time before applying the next product in the Rejuvity line? After applying each product, wait until fully dry before applying the next product. This allows the product to completely absorb into the skin. Can I use the Age-Defying Eye Cream in the morning and the evening? Yes, the Age-Defying Eye Cream can be used both in the morning and at night. After using the Moisturizing Day Cream, can I follow up with Isa SunGuard? Yes, Isa SunGuard can be used after applying the Moisturizing Day Cream, however, do note that the Moisturizing Day Cream includes broad-spectrum SPF 15. If I stop using one of the products, will the skin care system not work as well? The system will still work, however, the products are formulated to work together. Can I use the Bamboo Exfoliating Polish daily? We recommend using the exfoliator no more than two times per week. Over exfoliating can cause irritation and inflammation of the skin. Can I use the Bamboo Exfoliating Polish on other areas other than my face and neck? Yes, but the scrub is formulated for use on the face and neck area. Irritation testing has not been performed on other parts of the body. The scrub should never be used on intimate parts of the body or directly around the eyes. I feel a tingling sensation after I apply the Renewing Night Cream. Is that okay? This may be caused by sensitivity to retinol. Some skin types make be more sensitive than other skin types. If you have sensitive skin, start gradually by using less amounts of the Renewing Night Cream every 3 to 4 days and increase as tolerated. 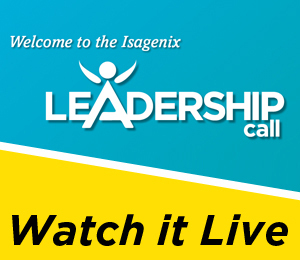 Isagenix® is breaking records left and right and we can’t wait to share all of the exciting highlights with you on the next, all-new Isagenix National Leadership Call on Tuesday, June 18 at 10 a.m. Pacific Time! The new call features a special live stream video where you’ll get to see our Executive Team members and Sales Team members sharing the news and recognition you already enjoy on a monthly basis. Not near a computer or a smartphone? No problem! You can still call in the traditional way and just listen to the audio if you wish. 1. Mark your calendar for Tuesday, June 18 at 10 a.m. Pacific Time 2. Log in to your Back Office. 3. Click on the “View & Manage Events” button 4. Scroll down until you see “Live Streaming Events” and select the “Live Video Stream” button. Once you’re all set up, you’ll get to see the smiling faces of our Executive Team and Sales Team members throughout the call. It’s just one way we want to make it even more special to connect with you every month. This month, we’ll be featuring an interview with new Isagenix Millionaire Kyle N.! Spread the word and make sure you never miss out on the monthly National Leadership Call. We look forward to recognizing you on the next call!